Almost wordless: I’m pretty sure this is an Anglewing. 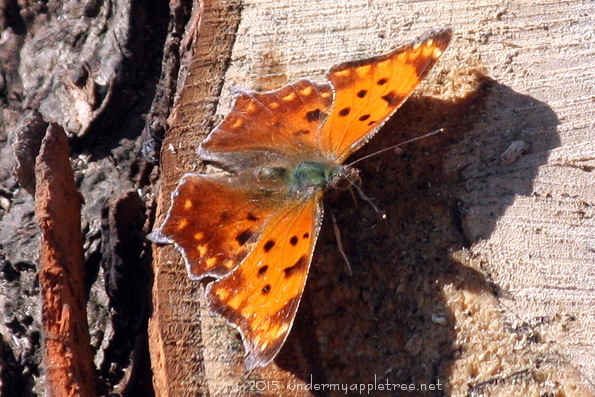 They hibernate during the winter and are one of the first butterflies to appear in the spring. This one was enjoying a rare sunny day, and so was I.
I don’t know what it is, but I’ve never seen it before. And it’s beautiful! Pretty fellow. I don’t believe I’ve ever seen one of these. I love butterflies. So beautiful. Beautiful! I’ve never seen one with such a unique wing shape.